As dentists, hygienists, front office staff, or any other position within the dental office, it is important to be there for our patients. And, after getting diagnosed with sleep apnea, our patients might be confused or concerned, while not quite knowing how to handle that news just yet. Once a diagnosis has been made, this is where your office comes in. One option for sleep apnea treatment is oral appliance therapy. By creating a custom oral appliance, you can help keep your patient’s jaw in a proper position. While they might not work for everyone, they do work for many people who find them to be easy to use and successful in treating their sleep apnea—it helps to keep the air passageways wide open and clear by stabilizing the throat and holding it in the proper position. Another tip is to eat well. Remind your patients that eating well and maintaining a proper weight can significantly help control their sleep apnea. As you might know, one of the main factors contributing to sleep apnea is being overweight, which is caused by poor eating habits. It has been proven that poor nutrition and diets can contribute to the severity of sleep apnea. So, get your patients to change their eating patterns for improved results! Tell your patients to try to sleep on their side. Many people that are afflicted with sleep apnea rest on their backs. By sleeping on their back, it can cause constriction of the throat muscles. Side-sleeping can improve a person’s breathing because it helps to open the airways rather than allowing your tongue to fall to the back of your through like when sleeping on their back. And, if it might be difficult for your patients to sleep on their sides, tell them to try placing a tennis ball in their back pocket or propping pillows around themselves to prevent moving to their back. It is important to help your patients understand their diagnosis—it may not always be so easy to understand. By giving them some simple tips, you can be helping them receive improved rest relief from their sleep apnea symptoms. For more information on sleep apnea and tips you can provide your patients, please contact my office or attend one of our lectures. The more you understand sleep apnea, the better you can treat your patients! Not only can you blog on your own website, but you can also guest blog for other sites, companies, doctors and organizations. What is the purpose for this? It’s simple; To showcase your expertise and display that you are a thought leader in your field. Talk to other dentists and even dental organizations. Most companies have websites and blogs, so get to talking! The more you interact with your colleagues and other professionals, the more they will know your expertise and the services you offer. Not to mention, you can create a working relationship for referrals. There are numerous magazines out there, whether they are print or online. In order to get the opportunity to write an article for one of the many magazines, you can both wait around and hope someone sees your blog posts, or you can take charge for yourself and contact the magazine directly. There are many magazines that would be more than happy to have you write an educational article for them or even share your insights through an interview. As a dentist, especially one with experience in craniofacial pain and dental sleep medicine, you hold a unique perspective on many topics. I have written articles about many dental procedures and topics, including craniofacial pain and dental sleep medicine, but I have also shared insight on marketing and increasing engagement with your patients. No matter what, there is something to write about and we want to increase awareness in all areas. 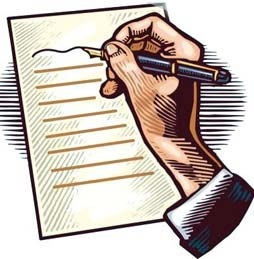 If you have any questions about how you can write and interact further, contact me today. I want to help you get your name out there, too! Yes, your staff can help with blogging! While they may not feel comfortable writing posts, they can create ideas for your freelance writer to expand upon. However, in addition to having a freelance writer create your blogs each week, your staff can also add in their own words and thoughts. Think about it this way. As a hygienist, you might see or hear different things than the front office staff or even you, the dentist. This makes for a unique viewpoint on blogs and information. Same goes for the front office staff. Share your experiences with patients or give tips on how to make the most of their visit or even ways to expedite the form process. No matter what, any information can be helpful! Put on your thinking caps and start thinking of blogs! Before you know it, your whole team will be experts in blogs—now that’s a good thing! We all can be found on social media. You may even see your staff on Facebook, Twitter or Instagram during their breaks. So, since most people utilize social media on a daily basis, why not include them in on sharing information and photos? Did you take a group photo in the office today? Take a photo with a patient or even of your workspace? Share it! Instagram is a great channel to share photos and show the personal side of your office. Did you attend a lecture or have a work outing? Share! Share! Share! Show your patients that you are more than just a dental office. You can share photos of your office, your staff or even images you create. The great thing about social media is there is no limit to what you can do so include your staff and see what you can come up with! This is where more fun can happen. Include your staff on the ideation and brainstorming process of marketing. From blogs to social media and newsletters, ask your team to help out. The more information you can compile the better your marketing efforts can be because you may be missing out on information or experiences they regularly experience. Encourage your staff to share their thoughts and ideas so you can continue to expand your office. If your team doesn’t quite feel comfortable sharing their ideas just yet, you can place a “Suggestions” box in the office for them to share their ideas without judgment from anyone else. So, what are you waiting for? Get started today! By involving your dental team, you are not only improving your marketing efforts, but you are creating a better work environment, too. Another way you can reach your patients, or even peers in the medical community, is through newsletters. I recently started incorporating newsletters for further reach and to share valuable information. Whether it is information about my office, upcoming lectures, or educational information, I can utilize newsletters to get out the most important information every month through email. To help you incorporate monthly newsletters into your marketing efforts, let’s take a look at what can be included and how to structure it. Topic – What topic are you focusing on? The topic should be a core part of your business to establish your authority and credibility. Content types – What types of content will you include in your newsletter? Choose varied types of content to interest and engage subscribers. Newsletter name – What will you call your newsletter? Every book, newspaper, and magazine has a name, so should your newsletter! Goals – what do you hope to achieve by sending an email newsletter to your subscribers? Design – what will it look like? Timing – when will you send your newsletter and how often? Most experts agree that the best time of day is in the morning. By gathering this information before you sit down and begin, you can make the newsletter a lot quicker than if you think of all of the information you need beforehand—start brainstorming! Much like an editor for a newspaper, creating an editorial calendar is proven to be extremely helpful. This step is a breeze because you have already determined when and how often to send your business newsletter. Now all you have to do is plan things out a few months in advance. Or, if you want to live on the edge of your seat, you can decide as you go! Either option actually works, but you have to make sure you stay on top of everything. However, by planning things out a few months in advance, you can have time to research, delegate, design and create the content needed for your email newsletter. After you have everything prepared, you can get started on your newsletter! And, with your editorial calendar, you will be set for months or for even the next year! And, don’t worry, if you go off track and change your editorial calendar as you go, that is ok, too. 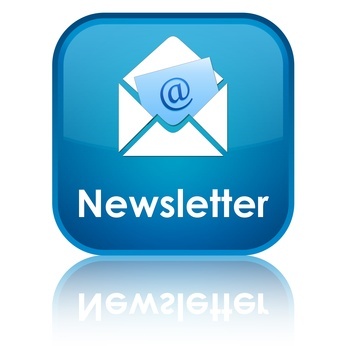 Remember, your newsletter is for your practice and your personal marketing needs. Share important information and have fun while doing it!